Happy Wednesday! Today is my day to share some of your beautiful restyles. Let's take a look at what'cha been working on! 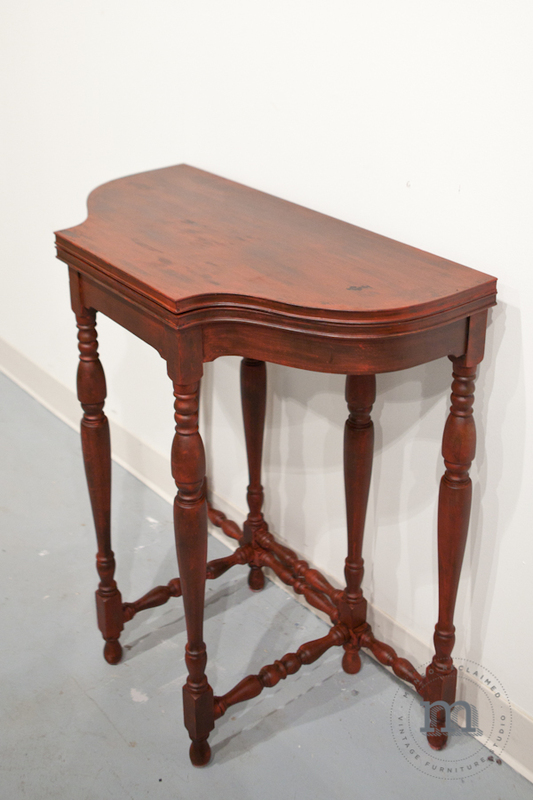 This gate leg table was in dire need of a restyle and Diane (with her love of warm and bold colours), gave it just that using van Gogh's 'Lipstick' and french caffeine beeswax. 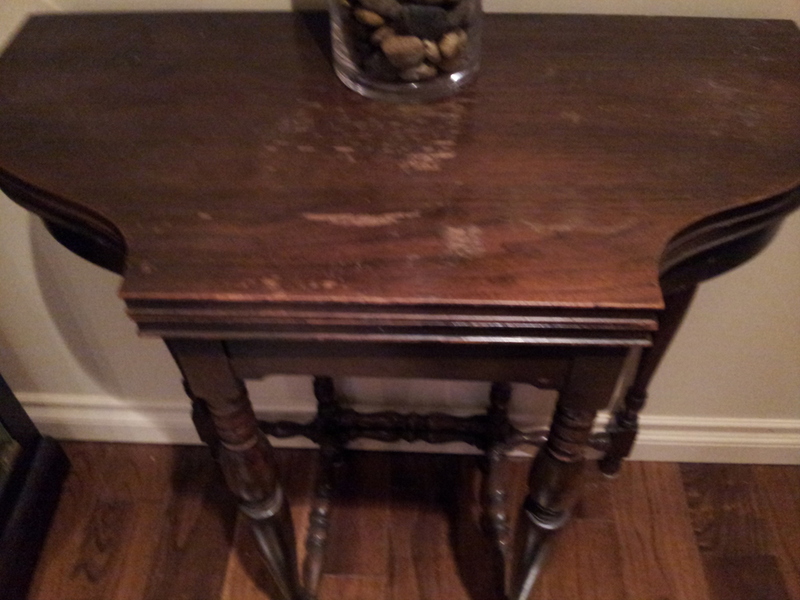 Here are a few more pictures of before and after. 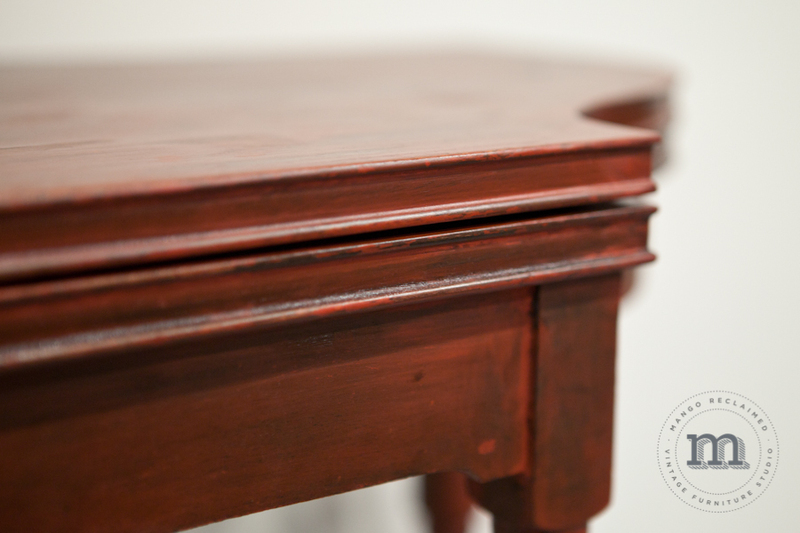 With some strategic distressing and some tricky waxing techniques we were even able to camouflage some of the watermark damage. 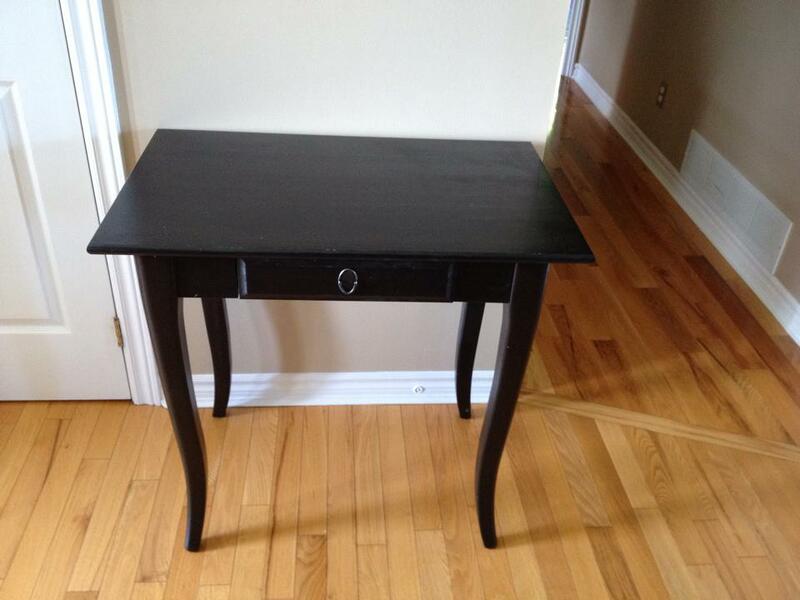 I love how this table turned out Diane - thank you for spending the afternoon with me to work on this! 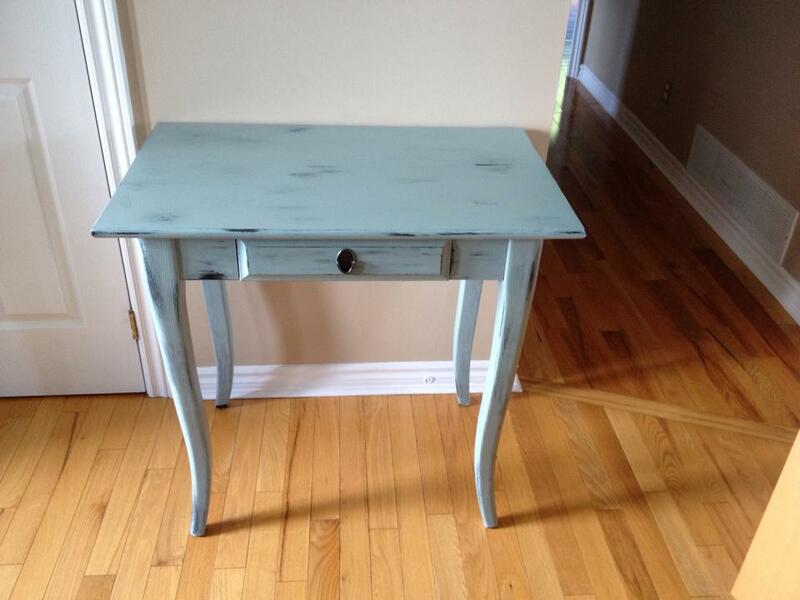 Tanya's table was given a quick injection of character with a pretty blue and medium distressing. It looks so much lighter/fresher now against her soft wall and floor colours. Great restyle Tanya! What better way to freshen up a bedside table than with some soft white paint? Ann knows how it's done. 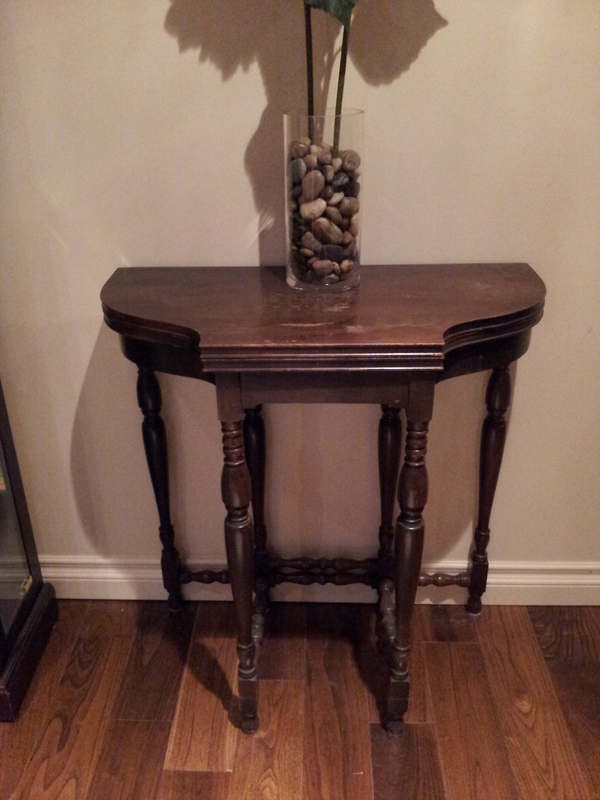 Looks like a brand new table - thanks for sharing Ann! 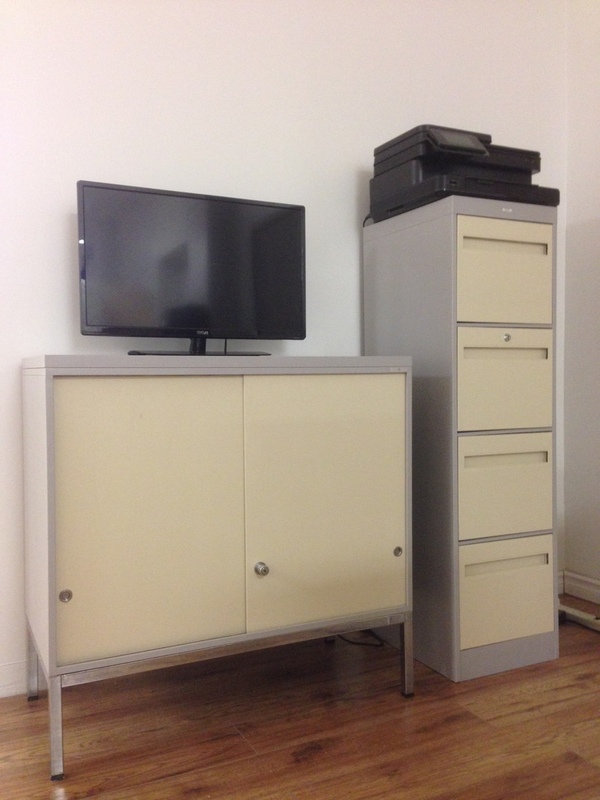 Another special mention today goes to Susan who transformed some drab office furniture into something super stylish! Susan is the talented lady behind the Mango Reclaimed promo video . . . and clearly her talent doesn't stop there! 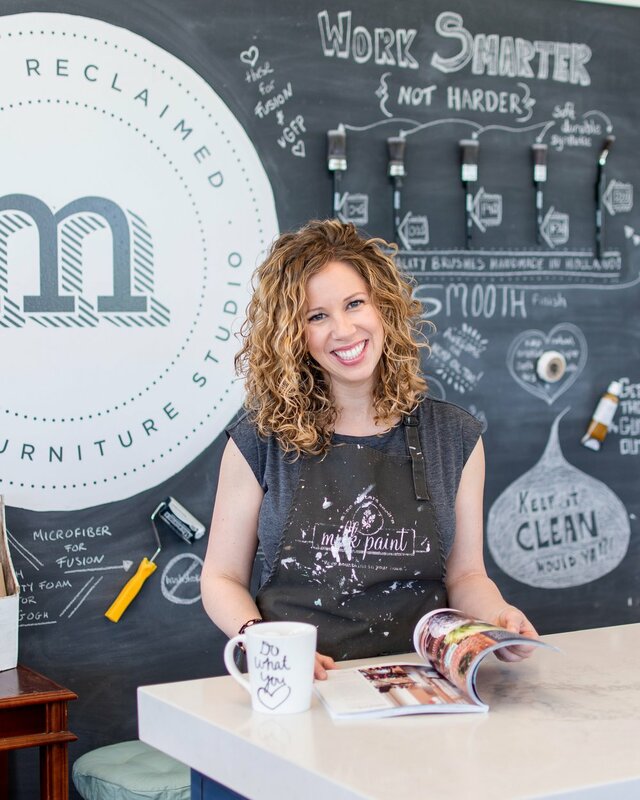 These metal cabinets were painted using van Gogh paint and rather than distressing and waxing these, Susan opted for a protective tough coat (similar to this one or this one) to make them extra durable. I love these!